Add personalized style to your designs with the TierraCast antique silver-plated pewter round alphabet charm featuring the letter C. This flat, circular charm features a capital letter C stamped into the front. The back is blank. This charm is great for personalizing designs. Spell out words, names or initials. A loop is attached to the top, so you can easily add it to designs. Use it in earrings, necklaces or charm bracelets. It features a versatile silver shine. Create meaningful designs with the TierraCast antique gold-plated pewter round alphabet charm featuring the letter C. This flat, circular charm features a capital letter C stamped into the front. The back is blank. This charm is great for personalizing designs. Spell out words, names or initials. A loop is attached to the top, so you can easily add it to designs. Use it in earrings, necklaces or charm bracelets. It features a gorgeous golden color. You'll love personalizing designs with the TierraCast antique silver-plated pewter round alphabet charm featuring the letter G. This flat, circular charm features a capital letter G stamped into the front. The back is blank. This charm is great for personalizing designs. Spell out words, names or initials. A loop is attached to the top, so you can easily add it to designs. Use it in earrings, necklaces or charm bracelets. It features a versatile silver shine. You'll love spelling out your style with the TierraCast antique silver-plated pewter round alphabet charm featuring the letter U. This flat, circular charm features a capital letter U stamped into the front. The back is blank. This charm is great for personalizing designs. Spell out words, names or initials. A loop is attached to the top, so you can easily add it to designs. Use it in earrings, necklaces or charm bracelets. It features a versatile silver shine. Give your designs personalized style with the TierraCast antique gold-plated pewter round alphabet charm featuring the letter I. This flat, circular charm features a capital letter I stamped into the front. The back is blank. This charm is great for personalizing designs. Spell out words, names or initials. A loop is attached to the top, so you can easily add it to designs. Use it in earrings, necklaces or charm bracelets. It features a beautiful golden glow. Create custom style with the TierraCast antique silver-plated pewter round alphabet charm featuring the letter L. This flat, circular charm features a capital letter L stamped into the front. The back is blank. This charm is great for personalizing designs. Spell out words, names or initials. A loop is attached to the top, so you can easily add it to designs. Use it in earrings, necklaces or charm bracelets. It features a versatile silver shine. Add letters to your designs with the TierraCast antique silver-plated pewter round alphabet charm featuring the letter B. This flat, circular charm features a capital letter B stamped into the front. The back is blank. This charm is great for personalizing designs. Spell out words, names or initials. A loop is attached to the top, so you can easily add it to designs. Use it in earrings, necklaces or charm bracelets. It features a versatile silver shine. Add a symbol of equality to your style with this TierraCast charm. This flat, circular charm features an equal sign stamped into the front. The back is blank. This charm is great for personalizing designs and bringing meaning to them. A loop is attached to the top, so you can easily add it to designs. Use it in earrings, necklaces, and charm bracelets. 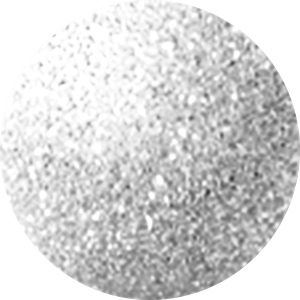 It features a versatile silver shine that will work with any color palette you may have in mind. Represent your sorority sisters or fraternity brothers with this TierraCast Greek alphabet charm. This flat, circular charm features the symbol for the letter Sigma stamped into the front. The back is blank. This charm is great for personalizing designs. Use it to add a sorority or fraternity name to your style. Pair it with school colors for a really fun look. A loop is attached to the top, so you can easily add it to designs. The rich golden shine will add a classic touch to your style. Stupendous style can be yours with the TierraCast antique gold-plated pewter round alphabet charm featuring the letter S. This flat, circular charm features a capital letter S stamped into the front. The back is blank. This charm is great for personalizing designs. Spell out words, names or initials. A loop is attached to the top, so you can easily add it to designs. Use it in earrings, necklaces or charm bracelets. It features a splendid golden shine. Make designs full of meaning with the TierraCast antique silver-plated pewter round alphabet charm featuring the letter P. This flat, circular charm features a capital letter P stamped into the front. The back is blank. This charm is great for personalizing designs. Spell out words, names or initials. A loop is attached to the top, so you can easily add it to designs. Use it in earrings, necklaces or charm bracelets. It features a versatile silver shine. Make your designs more personalized with the TierraCast antique gold-plated pewter round alphabet charm featuring the letter V. This flat, circular charm features a capital letter V stamped into the front. The back is blank. This charm is great for personalizing designs. Spell out words, names or initials. A loop is attached to the top, so you can easily add it to designs. Use it in earrings, necklaces or charm bracelets. It features an unforgettable gold shine. Bring personalized style to your designs with the TierraCast antique gold-plated pewter round alphabet charm featuring the letter H. This flat, circular charm features a capital letter H stamped into the front. The back is blank. This charm is great for personalizing designs. Spell out words, names or initials. A loop is attached to the top, so you can easily add it to designs. Use it in earrings, necklaces or charm bracelets. It features a heavenly golden glow. Keep your designs meaningful with the TierraCast antique gold-plated pewter round alphabet charm featuring the letter K. This flat, circular charm features a capital letter K stamped into the front. The back is blank. This charm is great for personalizing designs. Spell out words, names or initials. A loop is attached to the top, so you can easily add it to designs. Use it in earrings, necklaces or charm bracelets. It features an amazing golden shine. For a fun personal statement in designs, try this TierraCast Greek alphabet charm. This flat, circular charm features the symbol for the letter Delta stamped into the front. The back is blank. This charm is great for personalizing designs. Use it to add a sorority or fraternity name to your style. Pair it with school colors for a really fun look. A loop is attached to the top, so you can easily add it to designs. The versatile silver shine will work with any color palette. Stand out with customized style using the TierraCast antique silver-plated pewter round alphabet charm featuring the letter Y. This flat, circular charm features a capital letter Y stamped into the front. The back is blank. This charm is great for personalizing designs. Spell out words, names or initials. A loop is attached to the top, so you can easily add it to designs. Use it in earrings, necklaces or charm bracelets. It features a versatile silver shine. Put letters into your projects with the TierraCast antique silver-plated pewter round alphabet charm featuring the letter T. This flat, circular charm features a capital letter T stamped into the front. The back is blank. This charm is great for personalizing designs. Spell out words, names or initials. A loop is attached to the top, so you can easily add it to designs. Use it in earrings, necklaces or charm bracelets. It features a versatile silver shine. Make sure your designs are personalized with the TierraCast antique silver-plated pewter round alphabet charm featuring the letter R. This flat, circular charm features a capital letter R stamped into the front. The back is blank. This charm is great for personalizing designs. Spell out words, names or initials. A loop is attached to the top, so you can easily add it to designs. Use it in earrings, necklaces or charm bracelets. It features a versatile silver shine. Make your personality known with this TierraCast Greek alphabet charm. This flat, circular charm features the symbol for the letter Phi stamped into the front. The back is blank. This charm is great for personalizing designs. Use it to add a sorority or fraternity name to your style. Pair it with school colors for a really fun look. A loop is attached to the top, so you can easily add it to designs. The versatile silver shine will work with any color palette. Display your sorority or fraternity pride with this TierraCast Greek alphabet charm. This flat, circular charm features the symbol for the letter Psi stamped into the front. The back is blank. This charm is great for personalizing designs. Use it to add a sorority or fraternity name to your style. Pair it with school colors for a really fun look. A loop is attached to the top, so you can easily add it to designs. The rich golden shine will add a classic touch to your style. For a personal flair, try this TierraCast Greek alphabet charm. This flat, circular charm features the symbol for the letter Psi stamped into the front. The back is blank. This charm is great for personalizing designs. Use it to add a sorority or fraternity name to your style. Pair it with school colors for a really fun look. A loop is attached to the top, so you can easily add it to designs. The versatile silver shine will work with any color palette. It's easy to spell out your style with the TierraCast antique silver-plated pewter round alphabet charm featuring the letter D. This flat, circular charm features a capital letter D stamped into the front. The back is blank. This charm is great for personalizing designs. Spell out words, names or initials. A loop is attached to the top, so you can easily add it to designs. Use it in earrings, necklaces or charm bracelets. It features a versatile silver shine. Bring personalized style to your designs with the TierraCast antique silver-plated pewter round alphabet charm featuring the letter J. This flat, circular charm features a capital letter J stamped into the front. The back is blank. This charm is great for personalizing designs. Spell out words, names or initials. A loop is attached to the top, so you can easily add it to designs. Use it in earrings, necklaces or charm bracelets. It features a versatile silver shine. Create personalized designs with ease using the TierraCast antique gold-plated pewter round alphabet charm featuring the letter Z. This flat, circular charm features a capital letter Z stamped into the front. The back is blank. This charm is great for personalizing designs. Spell out words, names or initials. A loop is attached to the top, so you can easily add it to designs. Use it in earrings, necklaces or charm bracelets. It displays a wondrous golden color.